A scanned black and white photograph shows a white church with a steeple in the background. There is a graveyard with a bench in the forefront. 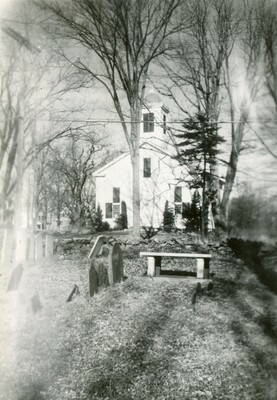 A written caption "1st Parish Church, Kittery 1730, est 1874" is under the photo.